Sandra has been working in the tick lab since May 2017, first as part of the Tick Crew that conducted field sampling of residential ticks for our backyard tick management study, and later taking on her own research project in collaboration with Brittany Schappach, assessing dryer-induced mortality on field collected blacklegged ticks. Their project won both a Provost’s Award at Western Research Day and a Student Research Award from the WCSU chapter of the Sigma Xi research honor society. 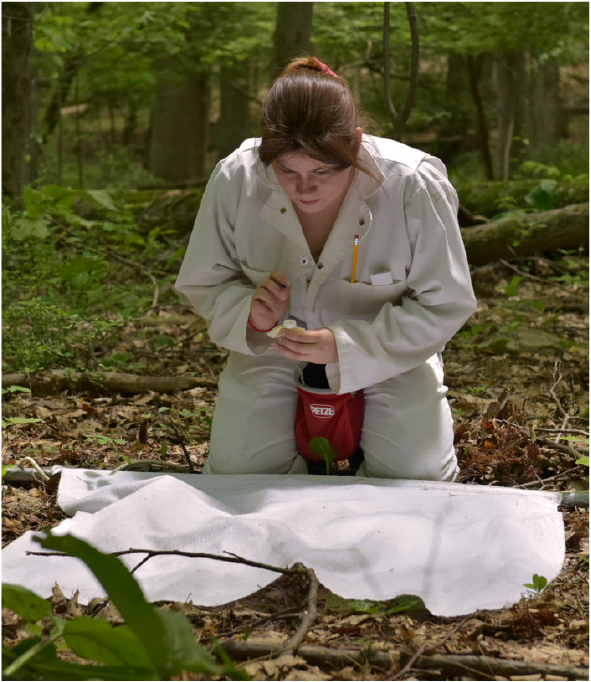 Sandra received the 2018 Kanungo Award from the WCSU Biology Department, and is an asset to the tick lab. She plans to pursue a MS in medical entomology beginning next year.